Trio Virado is a collaboration of three of the most distinguished artists on their instruments of flute, viola and guitar. 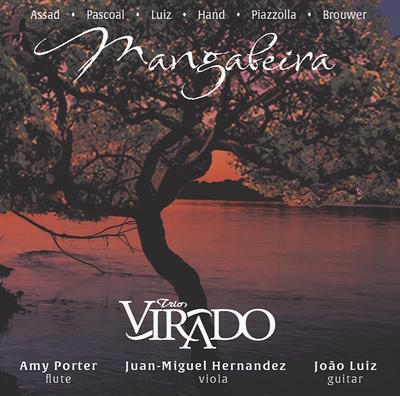 Amy Porter, Juan-Miguel Hernandez and João Luiz are artists widely sought after for their musical performances on recordings and the concert stage. Joining together for this debut album, they premiere four works of chamber music written especially for them.